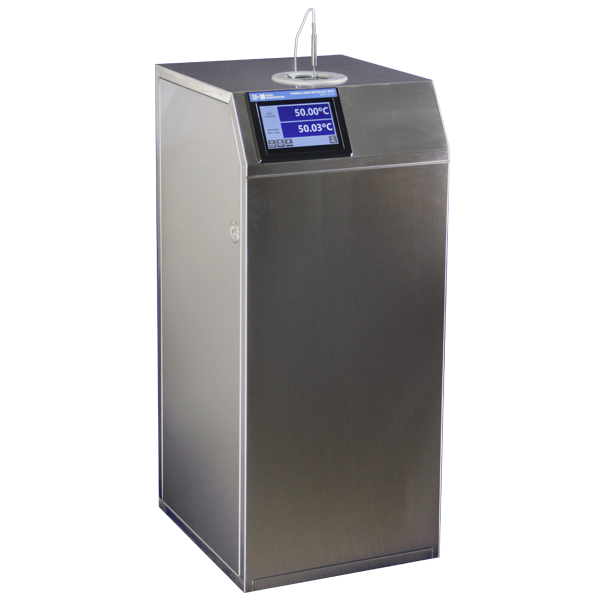 K61 Wide Range Liquid Bath — Pond Engineering Laboratories, Inc.
Pond Engineering designed this stirred liquid bath system to provide user-friendly calibrations over the range of -80°C to +300°C in a stable, uniform environment. Three optional configurations allow the user to tailor the system to meet the needs of their particular calibration workload. The base system is comprised of two well modules positioned side by side in a single cabinet and covers the range of temperatures from -80°C to + 300°C. The low-temperature well is capable of operating between -80°C and +70°C and will typically utilize a water/glycol solution and methanol bath fluids to cover that range. The high-temperature well operates between +50°C and +300°C using silicone oils of various viscosities. An interactive user interface on a sloping front panel provides convenient system control in a stand-alone configuration, and can be configured to display in either °C or °F. The system setpoint can be set directly (no additional variables or verniers to tweak) using the front panel interface. Optional remote interface allow users to integrate the K61 into an automated calibration system, dramatically increasing throughput and reducing the cost of calibrations. The coaxial, counter-flow design affords extraordinary gradient suppression, both axially and radially. A continuous flow of thermally-conditioned and homogenized bath fluid moves upward through the inner well and flows back in an annular space completely surrounding the inner well to the thermal conditioning/stirring zone. 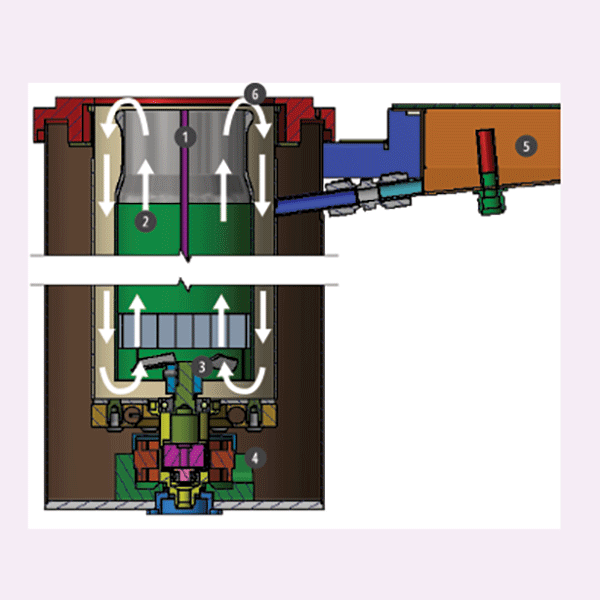 This flow is achieved by utilizing a custom-designed brushless DC motor with a wet rotor and impeller, eliminating the need for dynamic mechanical seals. Pond Engineering’s microprocessor-based controller utilizes PRTs with 24-bit AC excitation resistance ratiometric signal conditioning—not thermocouples—for unprecedented accuracy and control stability. Both wells in the K61 are fitted with expansion volumes which accommodate the expansion and contraction of bath fluids, allowing the system to function across wide temperature ranges with minimal user interaction.